can be accessed all subjects combination free of charge. We have successfully provided the JAMB 2019/2020 Subject combination for all courses. 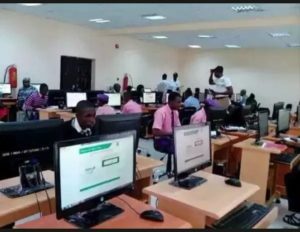 If you are taking the forth coming 2019/2020 jamb you should try as much as possible to know the right subject combination that suits you. It’s very painful seeing jamb candidates running up and down looking for money to buy jamb change of course form. Please don’t ever make that mistake because most time change of course don’t usually reflect on Jamb portal. two of Physics,Biology and Mathematics. Agricultural Science and any other Science subject. Chemistry, Geography, Art, Biology and Economics. Chemistry and any other Science subject. or Agric Science or Chemistry or Geography. Biology/Agriculture and any one of Physics and Mathematics. Biology or Agriculture and Physics or Mathematics. Biology or Agricultural Science plus Mathematics or Physics. Chemistry, Geography, Art, Biology andEconomics. Biology and one Science subject. Geography and any other subject. Two Arts subjects including Christian Religious Knowledge and any other subject. Fine Art and two other Arts subjects or Social Science subject. Lit. in English and two other relevant subjects. Two relevant Arts subjects and any other subject. French and any other two subjects from Arts and Social Sciences. subject and another Arts or Social Science subject. Lit in English and any of Economics, Government, History and Arabic. Government and any other two subjects from Arts & Social Science. Islamic Religious Studies plus two other Arts subjects. Igbo and two subjects from Arts and social Sciences. Music, one other Arts subject plus any other subject. CRK/IRS and any two other subjects. Use of English, Any three of History, CRK/IRK,Geography, Economics, Literature in English and French. Government, and any one of the following: History, Geography, Literature in English, French, IRK, Hausa. Now that you have now known all jamb subject combination for all subjects it’s now time to put it into good use. If this article is helpful to you please share with friends, prevent someone from registering the wrong subjects today.